There is a reason why some financial advisors generate more introductions and referrals than others. They treat their clients well and put them in positions where making connections is natural. 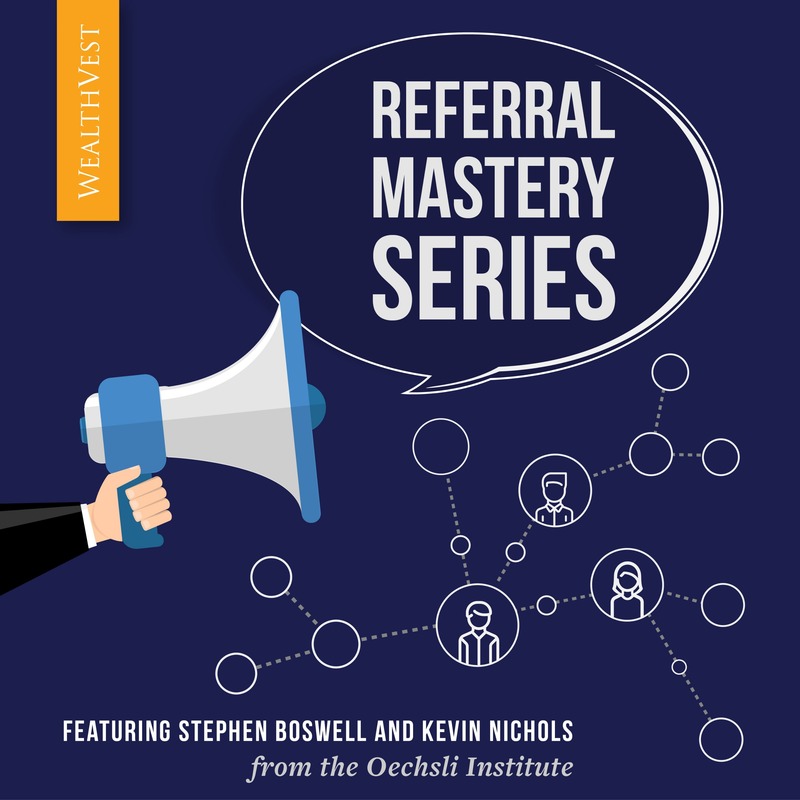 Join us for the Referral Mastery Series, brought to you by The Oechsli Institute and WealthVest, as we explore the behaviors and skillsets of the industry’s best referral generators. You too can stimulate more word-of-mouth if you follow these research-backed, time-tested strategies.